The economy is always fluctuating due to the poor decisions made by our leaders and as such it may seem like the only way to attain high profit margins is to lower priorities on staff payment. But underpaying staff can do a lot more harm in the long run which is why that monthly salary payout should never ever be viewed as an expense but as an investment. Because at the end of the day, your employees will love what they do and reward you with their best effort only if they are paid well. 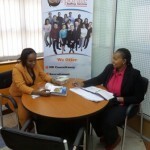 And whether your organization is listed at the Nairobi Securities Exchange or has a low head count, your turnover will most likely be high as long as your employees don’t feel satisfied with the salary that you are offering. Let’s look at why paying a competitive salary is important and why being penny wise pound foolish might actually be more costly for your company. Look at it this way – employees who receive competitive salary packages will often do their best for the organization because they are actually invested in what they are doing hence promoting engagement and encouraging loyalty. Your concern for your employees is just but one way of showing your commitment to taking care of them and that in itself can very well act as an incentive for them and is likely to be reciprocated when the company if facing tough times. Employee retention should always be your core business goal. In a competitive corporate world, to attract and keep top talent, you should proactively adjust you remuneration policies to match or even exceed the averages in your location or industry. When employees leave your company because they are not being paid, your project timelines suffer costing you even more time and resources to get done, something that could have been easily fixed if you just paid them enough. Re-staffing comes with additional burdens in cost since the hiring process takes so many resources from developing an ad to training costs. While not hiring the right person for the job may mean the company not being able to reach its growth targets, the consequences of a bad hire boil down to even staff morale. These financial repercussions can be avoided simply by developing a competitive salary policy. If it helps start viewing your employees as appreciating assets of the business. Sure, costs will play a role at first but over time you will come to realize that the knowledge, experience and loyalty they bring on board are qualities that will end up adding value to your company. One of the greatest challenges of business leaders is staying up to speed with current salaries, so to stay ahead, ensure that you conduct your own research such as using an industry benchmark or salary guide. Believe it or not, your top talent is frequently being poached by hiring managers and head hunters and this process has even been made easier by professional networks like LinkedIn. Even if your top people seem to love what they do, they may not have the qualms to refuse the next best offer if they are not being rewarded with a competitive salary where they are. We live under the assumption that as long as employees are growing in experience and skills, they will automatically choose to stay. At the end of the day, your employees want to feel like they are being paid the same or more than that person they know in another company doing the same job. And while company size does matter, there is no excuse why you should not do what you can to retain your best talent because these are the people who will take that company to the next level and stand by you when you are not doing so well because they are loyal to you. In order to gain a better understand of your employees and the organization as a whole; learn more about our leadership development training program by clicking on this link.